Last edited by stealthee; 04-01-2018 at 09:35 PM. I'll have to look but probably not. When I got the trans it was just how you see it. Is this still up for grabs? Also where are you located ? Ill take it, I can drive over and pick it up i need a good steering wheel also if you've got one. Ill come pick over some other parts see what you got for sale. If Mike backs out, which I doubt he will, I'd like to pay to have these shipped to Forest Gump. Mike which wheel you looking for? Think I have 2 left. 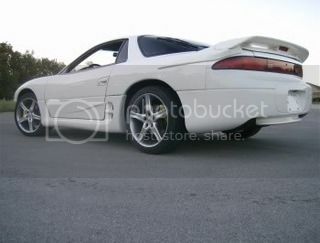 A 94-95 3000gt and a true black 3000gt wheel. Both without radio controls. eh mines a 92, looking for a nice steering wheel. PM your phone again. I had a really nice 1G wheel, but it sold awhile back. PMed number.